The CP-Mop is an economical mop made of Nonwoven cellulose/polyester material. This mop is excellent for spill control, general cleanup and drying of ceiling & wall surfaces. 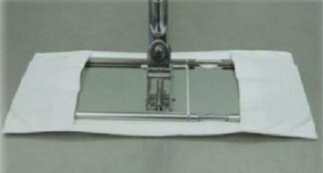 Mop head changing is quick and easy, it is designed to slip on and off the mop frame, yet remain secure while in use. can easily use in hard to access areas.